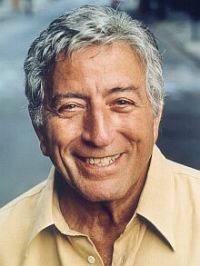 Tony Bennett (born Anthony Dominick Benedetto on August 3, 1926) is an American popular music, standards, and jazz singer who is widely considered to be one of the best interpretative singers in these genres. After having achieved artistic and commercial success in the 1950s and early 1960s, his career suffered an extended downturn during the height of the rock music era. However, Bennett staged a remarkable comeback in the late 1980s and 1990s, expanding his audience to a younger generation while keeping his musical style intact. He remains a popular and critically praised recording artist and concert performer in the 2000s. Tony Bennett is also a serious and accomplished painter.